Place pork, green onions and water chestnuts in a 6-qt electric pressure cooker. Mix hoisin sauce, water, soy sauce, sherry, garlic, gingerroot, corn syrup, marmalade, pie spice and pepper flakes in a bowl. Pour over pork. Lock lid; make sure vent is closed. Select manual setting; adjust pressure to high and set time for 25 minutes. When finished cooking, allow pressure to naturally release for 10 minutes and then quick-release any remaining pressure according to manufacturer's instructions. Remove pork to a serving platter; keep warm. Skim fat from cooking juices. Select saute setting and adjust for normal heat. Bring to a boil. In a small bowl, mix cornstarch and water until smooth. Gradually stir cornstarch mixture into the pressure cooker. Bring to a boil; cook and stir until thickened, about 2 minutes. 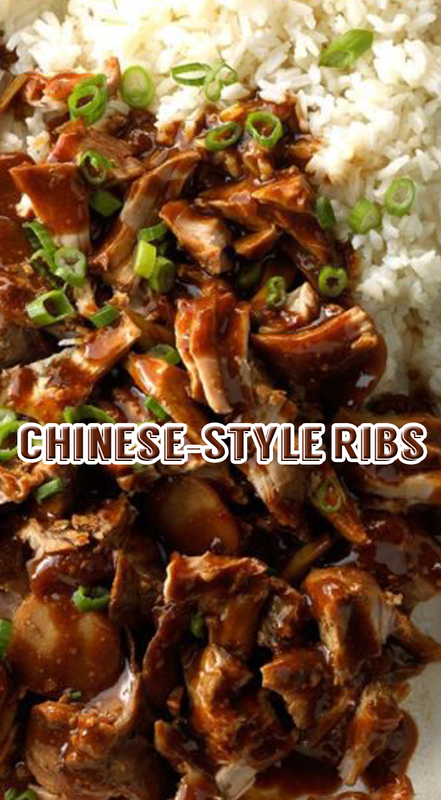 Serve ribs with sauce and, if desired, rice and additional green onions.